Leave the do-it-yourself projects at home and make way for do-it-together. While do-it-yourself may have worked previously, Mastercard believes the best way to drive scale and unlock new opportunities for businesses large and small is through collaboration – the answers to the questions surrounding today’s connected and complicated world aren’t found in one place. Besides, who’s going to read you the directions when you’re holding the nail and hammer? Mastercard Developers is our single gateway for our partners to easily access a diverse range of Mastercard APIs across payments, data, security and experimental categories. By using Mastercard’s renowned technology, innovation is powered elsewhere. “Because Mastercard APIs unlock new potential, we are expanding Mastercard Developers to include a Partner API category and provide even more value-added services,” said Lisa Bongiovi, vice president for APIs. The sources of the partner APIs? Mastercard Start Path companies. YouTube Video: Morning Brew: Scaling Innovation and Startup Culture at MasterCard. 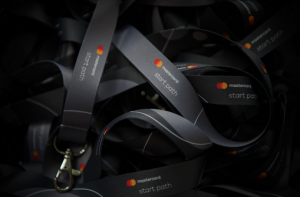 Start Path, Mastercard’s award-winning startup engagement program, leverages company experts, technologies and channels to connect later-stage startups with banks and merchants. “After almost five years and working with 180 startups globally, Start Path has cultivated a global network of innovators building the future of commerce,” said Amy Neale, vice president, who leads Start Path. By linking both audiences, Mastercard is paving the rocky road of opportunity. Railsbank: A global banking and compliance platform providing access to wholesale banking services in just five lines of code. Shieldpay: The Shieldpay Escrow API enables secure transactions by using confirmed actions to release payment funds. Vouchr: Vouchr turns existing money transfers or digital prepaid services into a gamified gift-giving experience. 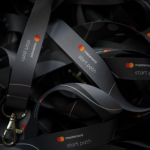 Mastercard recently introduced 10 new startups into the Start Path program. Under bespoke training programs, these companies are now engaging with banks, merchants and other members of the payments ecosystem to accelerate solutions and diagnose realized pain points. 360 kompany provides real-time access to official and audit-proof commercial register information, including company filings covering more than 100 million companies in 150+ jurisdictions. Aivo revolutionizes the communication between companies and their customers, using artificial intelligence. Cerebri.ai uses artificial intelligence and machine learning to quantify customer commitment and dynamically predicts “Next Best Actions” to accelerate profitable growth. Mercaux enables retailers to provide the digital in-store experience. Signzy harnesses a combination of the blockchain and artificial intelligence to offer digital onboarding solutions for financial institutions. Sparkle CS removes a significant barrier to entry for retail application vendors. Stratifyd captures customer interactions and turns them into actionable business intelligence. Trust Stamp powers a comprehensive AI-powered facial biometric identity authentication solution. Uniken gives organizations multiple protections against fraud in one seamless solution. The do-it-together approach will advance commerce with convenience and conviction and move everyone closer to a World Beyond Cash.